Are you trying to get pregnant, have PCOS and struggling? Wondering how to treat PCOS, and if there’s a cure for PCOS? Do you feel like there is no hope and possibly about to give up on your dream of having a child of your very own? Meet my patient Danielle who got pregnant with PCOS after two miscarriages! 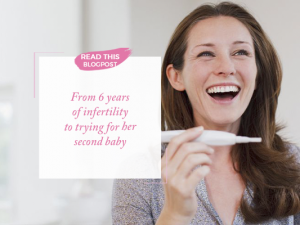 You could be the next Fertility success story! Danielle was a 36-year-old patient. She came to me after trying to conceive for two years. She had a history of miscarriage as well as ectopic pregnancy. Danielle’s first pregnancy was at 26 years old, one month after discontinuing birth control. Unfortunately, the pregnancy was not viable and ended in an ectopic pregnancy. Thankfully, there was no damage to her fallopian tubes. She remained on birth control for several years after, but discontinued use at 35 years old because she wanted to start a family. Danielle became pregnant naturally shortly after stopping birth control, but unfortunately, she miscarried at five weeks. After recovering, she was able to conceive again after three months. Sadly, this pregnancy also resulted in a loss at seven weeks. Two months after this loss, is when she reached out to me. Danielle had not had a cycle since this time and was looking to start trying to conceive again. Danielle was diagnosed with PCOS when she was just 16 years old and was put on birth control to manage her cycle and acne that she was experiencing at the time. While on birth control, her period was well regulated and typically 28 days, however when she stopped her cycles were irregular and long. After discontinuing birth control, her cycles became 40-45 days, and ovulation was erratic. She did not know if she was even ovulating every month. The stress of trying to conceive as well as work was affecting Danielle in other ways. She suffered from migraines 3-4 times a week, triggered by stress, which would also affect her sleep, causing her to wake up frequently throughout the night. Danielle consulted with her OB/GYN, who advised her to keep trying. She was unable to run any lab work since Danielle had “only” suffered two pregnancy losses. With the right coaching, she would learn how to get pregnant with PCOS. What did The Fertility Expert’s Team personalized fertility plan for Danielle? Lonika ran Danielle’s lab work, which did confirm PCOS. Her AMH was 6.9, which indicated to me that she may not be ovulating consistently. 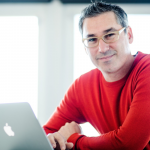 (If you’d like The Fertility Expert to run labwork for you and help you get pregnant, click here). Her lab work also indicated an imbalance in her thyroid which needed to be addressed and often occurs concurrently with PCOS. She suffered from adrenal stress and blood sugar imbalance, both of which were important for managing her fertility and PCOS. And, she also had low vitamin D levels. Our goal was to show Danielle how to be healthy with PCOS. We worked on improving Danielle’s diet. She was eating clean, but too many carbohydrates for PCOS. Danielle did the Reset Fertility Detox, as well as supplements to balance her thyroid, regulate insulin levels, and support her adrenals. She was tracking her basal body temperatures so we could accurately see if and when she was ovulating. Her migraines had improved greatly, and her stress level was being well managed, leading her sleep to improve as well. Her 1st cycle after making diet and supplement changes was 36 days! Danielle became pregnant the following month and had a healthy pregnancy. She delivered a beautiful baby boy in January! Lonika has been working with Dr. Sklar for the past 5 years. As a member of the San Diego clinic, she is also a case manager for women/couples who need a fertility coach online. Her goal is to guide her patients to overall wellness and healing that is effective as well as attainable. Lonika believes in forming a strong personal connection with her patients and empowerment is at the core of every treatment plan she puts together with her patients. 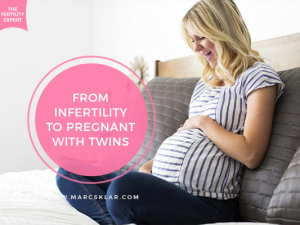 During this 1-hour online fertility consultation, you’ll get all the fertility support you need, we’ll review your case, give you recommendations and create a next steps for a personalized plan to help you get pregnant The H.O.P.ECoaching is the next step to make sure your fertility journey is going towards a healthy pregnancy. 60 minutes can mean the difference on how long it takes for you to hold your dreamed baby. No matter where you live (our programs are virtual), how long you’ve been trying or your fertility condition, we’re here for you. If you’ve been trying for quite some time with no results, are tired of seeing doctors with no answers, but are not ready to quit on your body and your fertility, we’ll be your “fertility detectives”. During the HOPE Coaching call we’ll find answers to your fertility problems and study the next steps in your fertility journey. If you started trying some months ago, but need guidance, want a holistic approach to fertility and are ready to empower your fertility in a natural way, the HOPE coaching call will give you the help you need to eliminate any blockages so you can start seeing results and feel EMPOWER, fertile and baby ready. 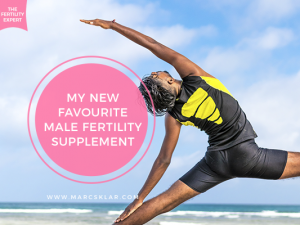 If you are thinking about getting pregnant and want to know how to get your body ready, empower your fertility in a natural way following our holistic fertility approach so you can get pregnant fast avoiding IVF.